Lara Sowinski of Food Logistics magazine wrote a great article on Food Safety Audits that’s well worth the read. 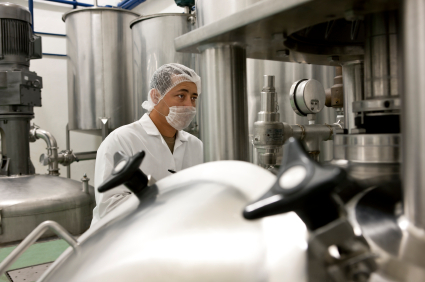 In the article, she discusses how the impacts of the Food Safety Modernization Act (FSMA), increasing imports, growing recalls and supply chain complexity are pressuring the industry to maintain and improve food safety. Neuman explains that the role of PwC is to advise its clients on best practices to meet and comply with regulations, not only for the FSMA, but for a host of food safety laws and regulations that are governed by the U.S. Department of Agriculture (USDA) and U.S. Food and Drug Administration (FDA). RFID and intelligent pallets and returnable transport items can help deal with the complexities of the modern supply chain. With all of the hand offs and issues associated with increasingly diverse and extensive supply chains, making it easier to capture, store and share electronic traceability information every step of the way will be critical. To learn how, click here. This entry was posted in Food Safety, Perishables, RFID Tags and tagged food logistics, food logistics magazine, Food Safety Modernization Act, FSMA, lara sowinski. Bookmark the permalink.